Business success begins in the mind of the startup founder and his team. A winning startup is a team of entrepreneurs who build and run the business as an extension of who they are, rather than some extrapolation of the Google or Facebook model. Positive believing. This starts with positive thinking that your startup idea will work, but is a lot more. It is a confidence bolstered by intelligence, preparation, and experience that your business model addresses a need in the market, provides a solution, and will beat the competitors. Burning desire. You need the motivation to succeed, which comes from the burning need to achieve your purpose. This is the starting point of all accomplishments. Napoleon Hill in “Think & Grow Rich” said "What the mind can conceive and believe, the mind can achieve." Unwavering commitment. Many successful business people hailed as visionary leaders are individuals who hold firmly to a simple set of principles, usually grounded in beliefs such as "elegant designs", or the “highest possible customer service". The strength of these religiously followed commitments led to their business success. Power of persistence. Persistence is determination to succeed. It is a commitment to finish what you start, which comes from a real purpose. A person who has no purpose will never persevere, will never be fulfilled, and will not succeed. Hard work. Excellence is not something that you accomplish by accident. It takes a lot of preparation, character, and hard work. Everyone likes to win, but how many are willing to put in the preparation effort and time to win? It takes sacrifice and self-discipline. Acceptance of responsibility. People with character accept responsibilities. They make decisions and determine their own destiny in life. Accepting responsibility involves taking risk and being accountable. This is sometimes uncomfortable. Pride of performance. The quality of the work and the quality and the worker are inseparable. Excellence comes when the entrepreneur takes pride in doing his best. Half-hearted effort normally produces no results, rather than half the results. Enjoy the work. Do what you love, and you will love what you do. It’s hard to maintain all of the above if you don’t enjoy the subject area, the team, the challenge, and the customers. People who are not having fun are rarely successful. Those who run successful businesses possess many of the above attributes at phenomenal levels, much beyond those of the average person. And they don’t fear failure, but are quick to learn from it. Now you can understand why less than half of all startups last more than five years. Some experts argue that everyone possesses these attributes, but they may be buried deep in the subconscious. Their challenge is to release the negative thoughts and feelings that are blocking the emergence, and blocking success. There is even a form of alternative psychotherapy, called EFT (emotional freedom techniques), that is gaining popularity to help release the blocks. 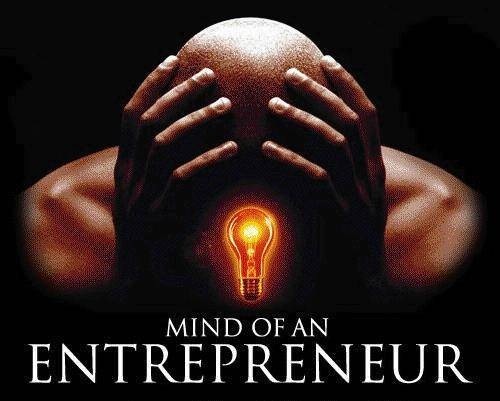 In summary, when you decide to start a business, the place to begin is in your own mind. Take a hard look at your drivers, and those of every member of your team. That’s the only way your chances of success will be definite and real, instead of just a wish and a prayer.